Extrait De Glamour, Pink, Passion, Lips, Mouth, Soft, Warmth, Omniverous, Sparkle, Appetite, Forbidden, Fun, Fatale, Fruit, Desire, Smile, Sweet, Skin, Shining, Intoxicate, Insatiable, Girls. Being myself very fond of many of the Heeley's creations I was so excited in discovering that he was personally introducing 3 new fragrances so I immediately checked them out! What a disappointment!!! 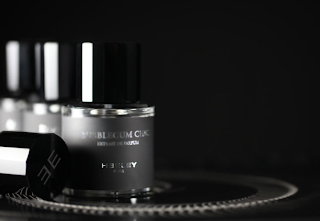 When I first saw this new line by Heeley I really got excited to see he finally decided to introduce in the market three new fragrances in extrait de parfum diluition. I've always been a "fan" of many of his previous fragrances such as Cuir Pleine Fleur, Sel Marin and Iris De Nuit but longevity has always been an issue, so seeing these extraits made me think about something even more satysfying. Last but not least, my curiosity to smell Heeley's take on oud was definitely genuine. This is to say that I was really well disposed towards this new launches and I was sure to smell something brilliant, original and unique. Yet another iteration of the rose/oud combo? Really??? Ok, calm down. Rumours wants that this composition has been on the making for more than four years, so at the time we weren't yet overwhelmed by the oud overkill and James Heeley was probably not aware of the huge amount of oud compositions that in a few years would have over crowded the market. Agarwoud smells like the basic structure of many western oud-centered compositions. It's not as boombastic and dark as Black Aoud and the rose note is definitely more restrained. It's not refined and opulent as Epic Woman. It doesn't have the gourmandic twist of Red Aoud...it's just oud and rose laying on an ambery base. Minimalistic (as many of the Heeley's previous compositions), moderately powerful (considering is an extrait), honestly crafted but not particularly interesting. Overall Agarwoud smells fine but it arrived on the market a bit too late. As a friend used to say: "What's... Agarwoud? It wood if it could." L'Amandiere is Part Cuir Pleine Fleur (without the leather), part The Unicorn Spell, part Domenico Caraceni 1913. A violet / rose / almond concoction with green undertones. Another one??? My problem with the new Heeley's Extrait De Parfums is that they're definitely well crafted but boringly derivative. They really add nothing on the table. Bubblegum Chic knocked me down. Between the "inspirational words" I read "pink", "extrait de glamour", "passion", "lips", "appetite", "fatale"...I'm loosing my patience. Bubblegum Chic is clearly marketed as feminine and my point is this: how is it possible in 2011 to use such trite commonplaces to describe a feminine fragrance? Please someone tell me. It looks like Mr Heeley committed the writing of the presentation of his new fragrances to the cast of "Sweet Sixteen". Not to talk about the fragrance that is a boring tuberose / jasmine composition with an exasperating fruity-bubbllegum effect. As per Agarwoud you can have plenty of better options at any price if you want a tuberose centered composition (Tubereuse Criminelle, Carnal Flower, Giorgio Beverly Hills, Histoires De Parfums Tubereuse 1 and 3, Fracas, First, Madame Rochas... to name a few).